You guys are too hard on Higher Education, in my opinion. Here’s why. Discussion in 'General Entrepreneur Discussion' started by ChrisV, Aug 16, 2018. The difference between happiness is pretty substantial too. And don’t get me wrong.. I get the point. Higher education most likely won’t make you a multi-millionaire while self-education will. But the right diploma will land you a nice 6-figure job in a job where you’re happy and fulfilled. Not all jobs are blood, sweat and tears. There are lots of people who wake up every day fulfilled and satisfied with their work. The reason I say this is because sometimes around here I get the impression some people just believe that “Education is worthless and jobs are slavery,” and yes... sometimes that’s very true. But sometimes it isn’t. If we look at the data, happiness and income has an interesting relationship. It is related but the correlation plateaus at around 100K. But even aside from that, I found college classes to be enriching and really changed my perspective on a lot of things. Logical rhetoric, the scientific method, literature. And I get the Fastlane approach. The point is to break free from the script and think for yourself. But college can be a pretty decent way to earn a good living. Will it get you a few Ferraris? Probably not. But it can easily get you that beautiful Mercedes you like. See, people often forget why people go to college. You go to college to learn a marketable skill. If you learn engineering, you now have a skill that’s more valuable than flipping burgers. If you learn to be a doctor, you can now save lives which people will obviously pay you for. Or maybe you skip college to become an electrician. You can still make a good 75K/yr beaus you have a marketable skill. A lot of you guys have opted out of both of those and learned advertising, and business management, which are also marketable skills. It’s all really the same thing. People pay you for the service you provide. There’s a passage in Ca$hvertising that I think sums this up nicely. If for some wacky reason you wanted to build your own light bulb, instead of spending years duplicating Edison’s thousands of failed experiments, wouldn’t it be wiser to read his lab notes and see how he did it? How he discovered that a carbonized bamboo filament burns slowly enough in a vacuum to produce more than 1,200 hours of reliable light? Of course! You’d simply duplicate what he did, rapidly produce a long-lasting light bulb, and get on with your life. Whenever you study someone who was successful at a task you’re preparing to attempt, you pave yourself an incredible shortcut to success. And that’s the entire point of education. To stand on the shoulders of giants. You study what great engineers have figured out so you don’t have to waste years doing trial-by-error, and love it or hate it those things impact your life on a daily basis. The Samsung or Apple phone you’re reading this on is the result of people who dedicated hundreds of thousands of hours to studying engineering. The Ferrari of your dreams? Some of the best automobile engineers in the world put that together. It would have been nearly impossible without a formal education. I’m just saying this because I see some people on here take the anti-education thing a little too far. In a lot of cases higher education can really help people build a pretty nice life for them and their families. It almost certainly won’t make you a multi-millionaire... but in a lot of cases it’s not a bad gig. Not necessarily the path I choose to take lol, but I don’t think it’s fair to suggest that it destines one to. a life of misery, slavery and servitude, especially when the data suggests otherwise. Zsuzsi, ruzara5, Jackhe$1billion and 16 others like this. I would literally rather drop dead than work a 9-5 for $75K a year, so there's that. ruzara5, MonacoMan, Pilot35 and 23 others like this. Why? And are you sure? Everything that you point out is true. There is a strong correlation between higher education and higher income. An Engineer does provide a lot more value than a person who flips burgers. 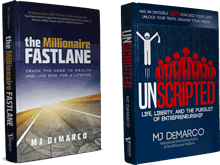 The Whole Point of Millionaire Fastlane is the fact that you're still trading in your time for money. That's why people are on this forum. They don't want to go work 60 hours at their engineering job for that 120k/year. People on this forum know that higher education makes more money than a person that didn't go to school. We know that they make more money. We just don't want to trade time for it. 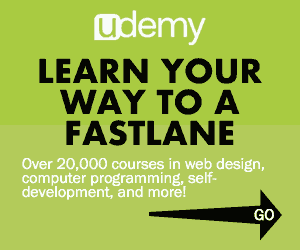 Hence why it's called Fastlane. • Die 10-20 years later. I know people who have gotten degrees that make 200k/year but they still work 80 hours. That takes time away from family and your passions/hobbies. My dad started making 100k/year for the past 5 years but he worked from 6am-7pm. He finally retired and now works as a school bus driver for special needs kids. 6k/month from his retired and 2k/month from his bus driver job. The thing that he likes about his school bus driver job is the fact that the special needs kids hugs him and they tell him that they love him. Unfortunately he is starting to dip into his savings. My grandmother used to live off of $600/month social security. My parents pitched in to help her. I do not want to get old going through coupons and doctor's appointments until I die. Then nobody is there at the Memorial service besides family because all your friends already passed away anyway. It's not just about money but it's also time and other intrinsic things. ruzara5, Beatzwire, Sean Marshall and 13 others like this. ruzara5, Owlman, Michael1359 and 4 others like this. We're not hard on education, we're hard on school. There's a difference. LuckyPup, HenryL, Sean Marshall and 13 others like this. ruzara5, Beatzwire, LuckyPup and 10 others like this. If someone makes 120k/yr, it’s most likely becasue they provide 120k of value each year. Employers just ‘round’ the numbers like that becasue it’s kind of hard to look over everyone’s shoulder and see exactly how many widgets they’re making. And I think it just makes their expenses more predictable. That and a lot of people like a predictable salary and don’t like the idea of making 18k some months then 1k on others. I think they say “Okay this guy is worth 10k/mo” becasue he provides 10K worth the value per month. It may fluctuate a little each month, but for the most part it’s probably pretty steady. And don’t get me wrong, I agree with you guys fully. I’m not a fan or the hourly wage either and would rather get paid for what I produce, but I’m just trying to provide an objective view of the pros of both sides. Sometimes I get the impression that some people on here just believe that having a job is total hell and going to college is for suckers. ruzara5 and Victor Cezar like this. We've debated this on this forum a bunch of times. And I think it's always come down to the cost. I have no problem with college. The problem is our government and institutions have cause a massive hyperinflation of college education because of easy money guaranteed by tax payers. Resulting in useless and outdated degrees with huge price tags. Imagine a college that teaches skills set for a modern economy with a decent price tag. I don't think anybody would say don't go. But look at what has happened to our education system all because our government is stupid and nobody questions anything. I mean seriously, whoever wrote this law his/her parents are cousins or failed Econ 101. But I truly believe we will be one of the first generations to actually tell our kids to NOT go to college or at least somewhat question it. LuckyPup, YoungPadawan and ChrisV like this. Well I also think the world has changed a lot. Years ago college was one of the only places you could gain knowledge. Now? Knowledge is freely available on the internet. Originally you took on an apprenticeship. Then as the need for education got greater, one teacher would teach 12 students. Then 24 in school. 100+ in large college classes. Now one Coursera or Edx course can have allow millions to watch. MIT recently posted ALL of their classes online for free. I think College as an institution is going to dissolve. It’s simply becoming an outdated technology. Um no that's not how it works at all. An employee is SELLING THEIR TIME to their employer. How much the employee's time is worth is based on SUPPLY AND DEMAND. This is why servers are paid so little whereas doctors can make over $100K. It's not about who is perceived to contribute more, it's about what the market value is. Yet, one could argue servers are incredibly valuable, yet why they get paid minimum wage? Because their employers can. YoungPadawan, Longinus and ZF Lee like this. If you believe college is 100% trash (that's fine), then better acquire a solid skill set by any means. Or shut up and stock shelves for life, while grumbling about the evil 1%. There's also a difference between what he said and what you've alluded to him saying. The OP says the forum is hard on "higher education," not on "education." Higher education in this context = education as obtained from a formal educational institution, AKA school AKA college AKA university. So while you're right this forum is hard on "school" and not "education," the OP has a point that should not be downplayed. The summary being - college education is not "the devil." An individual's personal approach to college AND education, however, could be. A person who blows $100k on a BA in 14th Century Doll History made a choice (WITH consequences). A person who spends $50k on a relevant engineering degree also made a choice. A person who says college is irrelevant, BUT makes NO effort to acquire solid skills also made a choice. If these three people take their skill set to the slowlane marketplace, there will be a huge difference in demand. Subsequently, a huge difference in income. One bright morning, all three read TMF and Unscripted and internalize the concepts. Who would be in a better position to leverage and springboard off their current skill set and cash flow? As the ol' cliche goes, "it's never what you do... and such and such." Aragorn and ZF Lee like this. Something I've been thinking about lately... The entrepreneur route is probably more competitive than the job market at the moment. Way too many idiots are calling themselves entrepreneurs when they really created nothing new. They just saw dollar signs and thought "I can do that." Most people would make more money with less effort in a job... unless they start something to be scaled from the beginning. And by scale I don't just mean if the stars align and your product goes viral. I mean something with immediate multi-million dollar potential. Now to the topic on hand... a real 4 year university degree... OK it's not going to hurt you unless you committed financial suicide to get it. The folks that screw around at community college into their 30s should just quit. ChrisV, FastNAwesome, vinylawesome and 8 others like this. Time, is the only thing in life that matters regardless of what anyone says, when you goto college you are trading time to trade more time in a job for money. Yes there are lots of careers out there that are awesome and bring great enjoyment & happiness. Even finding a minium wage job is tough, good luck with a fancy education. Its literally gambling with hope you FIND a job. Having control over your life is a much more optimal decision. Personally I've met lots of people that are University educated and are completely dead broke living at home/grinding minium wage jobs. If you took an 18 year old kid, locked them in a room with TMF and made him or her create a business/company, and took another 18 year old forcing them into University/College there's a 0% chance the latter is better off than the first in the next 5 years. Im basically regurgitating MJ in TMF, so I don't take credit for the gold bombs above, cheers. ClaverCasley, SMH, Fastlane Liam and 1 other person like this. Oh okay...and how is their hourly rate determined? Why does one person make $12/hr, while someone else makes $45/hr. It’s determined by what value they bring to the table and how replaceable they are. I’ve studied this for years. Servers bring you a glass of water. Doctors bring you a lung. Who contributes more? Who’s services are more valuable? I posted about this the other day. You think you’re getting paid for time, but at the end of the day, like any expense, your company has to look at you and say “Would we rather have this employee, or would we rather have this 120K.” If you’re not bringing 120K worth the value to the table, you’re a goner. Kak and Supercar like this. I’m mad that the person with a degree in 14th Century Doll History might actually be the clear winner of the bunch. Well to me the clear benefit of the Fastlane approach is automation. Let’s put it this way, with a simple example.... I can start a company cutting lawns. Or I can create a roomba-like robot that cuts lawns for me. I spend my time programming rather than cutting lawns, because by spending time doing that, the process will soon be fully automated. Anyone who’s figured out how to automate their job at a company gets fired. I believe it’s happened a few times. 0% chance? I don’t know if that’s completely fair. That person would most likely be 2 out of 3. It's demand in the labor market is extremely limited, and its direct applicability in the entrepreneurial space is also really limited. If the person studied 14th Century Doll Design and Making on the other hand, that could be worth something. On the slowlane side, they could offer specialized crafting skills to a toy company. On the fastlane side, they could design/create a great doll and start a great brand of dolls. Hi! my name is Chucky, you wanna play? (sorry, I just finished watching Cult of Chucky, I had to ). I see both sides of the story. For context, I am only 21 and I am currently in my 3rd year of my finance degree. I see that University is becoming a very expensive investment (60k + for some individuals) while not having tangible rewards and tying up your income for the next several years. work ethic and problem solving skills. While a lot of these skills are not quantifiable, I feel like their importance should not be over looked. I don't think that I would have ever seeked out books like Unscripted or learned to do personal research if it wasn't for the environment and network that University put me in. ChrisV, Dramolion and Xeon like this. The good thing about having a higher education, though, is that you've a skill which allows you to work in an industry, and you end up with domain knowledge. You get to be in higher positions in the company, build a more powerful network, earn more, live a better life after you've paid off your study loan. And if you've a good paying job, you can save more, and saving more = more resources to fund your business or whatever you want to do. This means you can afford to pay the manufacturer for the injection mould's costs and have money to throw at FB ads, without having to scrimp and worry about every penny every day. A general manager and a warehouse worker both wants to start the same type of business. Assuming both have the same idea, I'm willing to bet the GM guy will succeed easier and faster than the warehouse worker. The thing, as people have mentioned, is that people with higher education and good paying jobs usually don't have that "urge" or "fire" to go into entrepreneurship. I'm willing to bet most of them don't even have a FTE. Zsuzsi, ZF Lee and JohnZ123 like this. F*ck This Event, a term in Unscripted. My stepson and a niece are heading into their final year in college. They *hate* it at this stage. I’ve never seen them so sad. They look depressed they have to keep playing this game of lectures, continuous assessment, grind, exams, piece of paper. They graft in the summer to pay for each year. They literally just want to get any job and start working at this stage. The second semester had courses on how to format your dissertation. “Huh? I didn’t pay to learn this. I’m not spending another minute of my time in this classroom.” I couldn’t bailed fast enough. I was that kid in school always asking questions and interested in everything. When I got to college I had to turn that part off and become a robot. It took me two *decades* to get my mojo back. I’m not saying college is bad for everyone. I’m just saying that having to live the scripted life for an additional 2-4 years can cost you more than the money and those 2-4 years. YoungPadawan, Iammelissamoore, luniac and 4 others like this. I partially read this ..millions seems to stream..
Why not be happy making 200K and run for the hills? . My ideology may be effed but millions nowadays should be for philanthropists and those changing the world. We should not compete...we should collaborate. I am not a millionaire. Nowadays, i dont want to be. The Gov disguise it in taxes but they know our world needs help. YoungPadawan, Envision and kelvinfernandezm like this.